Purpose of Session o Objectives: 1. 2. 3. 4. 5. 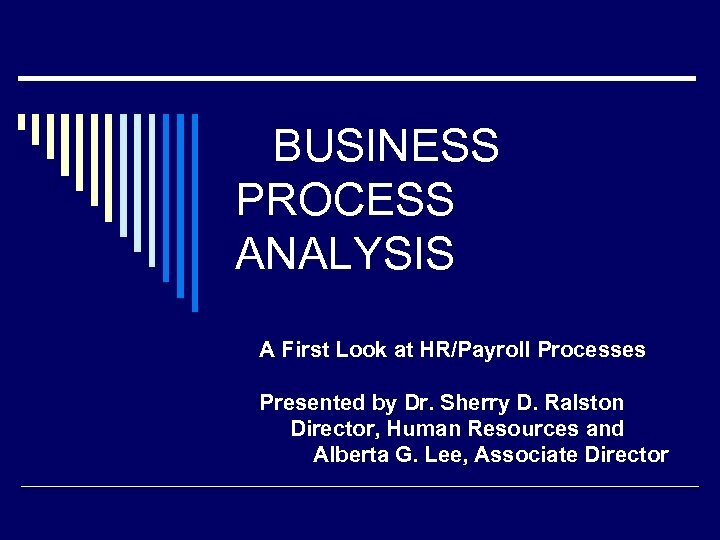 Overview of Business Process Analysis (BPA) Review a new way to gather information which might be used to modify/analyze current processes/functions (tasks) in and between HR and Payroll. 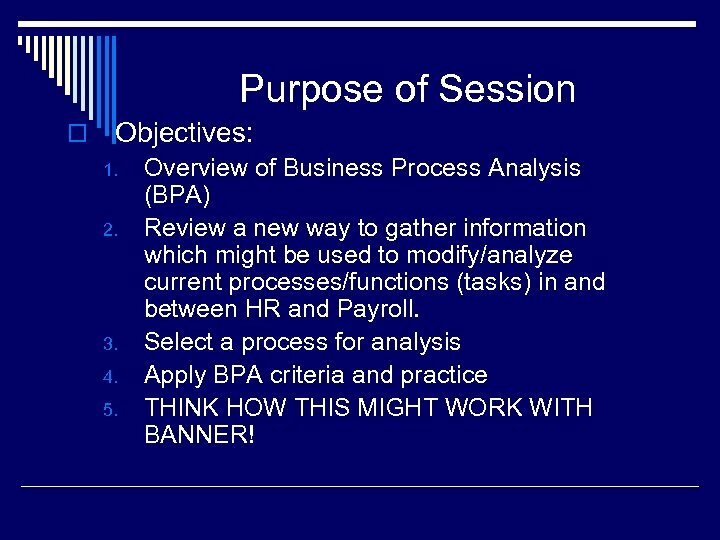 Select a process for analysis Apply BPA criteria and practice THINK HOW THIS MIGHT WORK WITH BANNER! 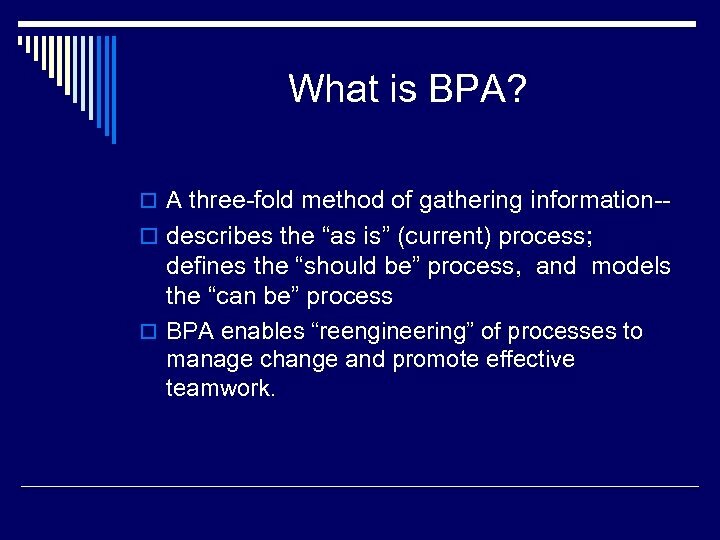 What is BPA? 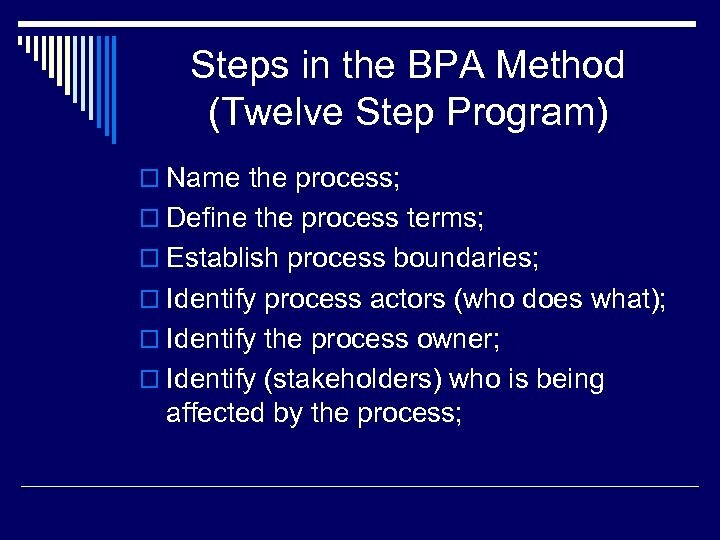 o A three-fold method of gathering information-- o describes the “as is” (current) process; defines the “should be” process, and models the “can be” process o BPA enables “reengineering” of processes to manage change and promote effective teamwork. 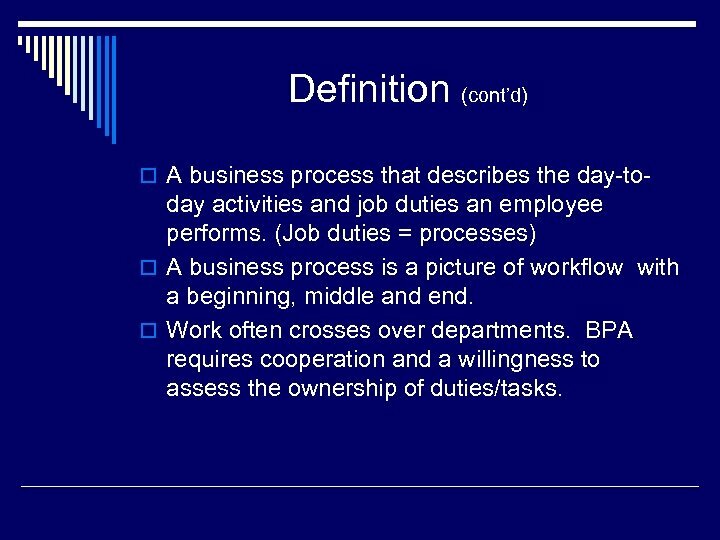 Definition (cont’d) o A business process that describes the day-to- day activities and job duties an employee performs. 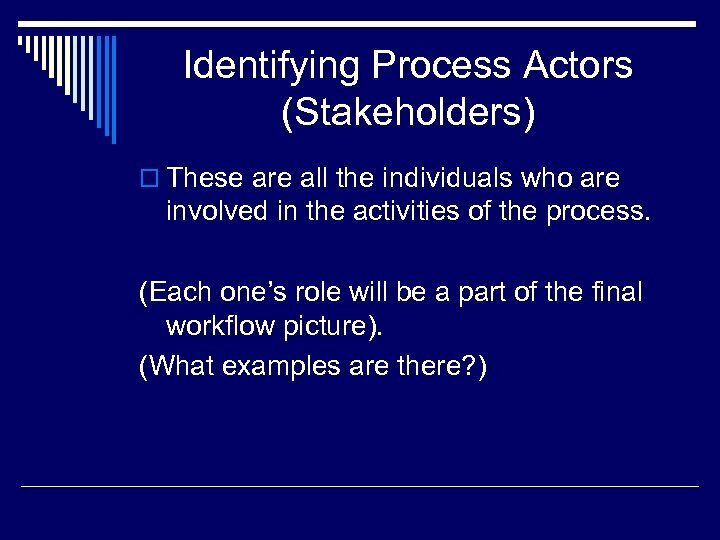 (Job duties = processes) o A business process is a picture of workflow with a beginning, middle and end. o Work often crosses over departments. 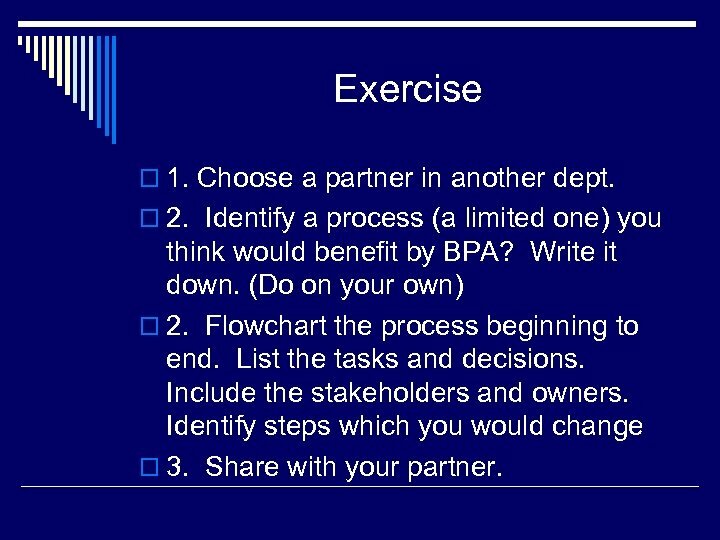 BPA requires cooperation and a willingness to assess the ownership of duties/tasks. 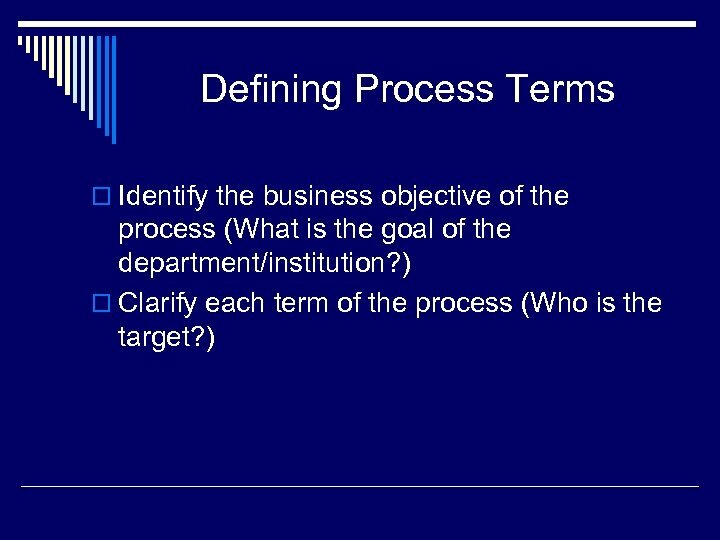 Common Business Processes in Higher Ed. o EXAMPLES: o Admit students and maintain student records; o Hire and pay personnel; o Buy and pay for goods and services, Processes may be subdivided into functional parts. How might we subdivide hire and pay personnel? 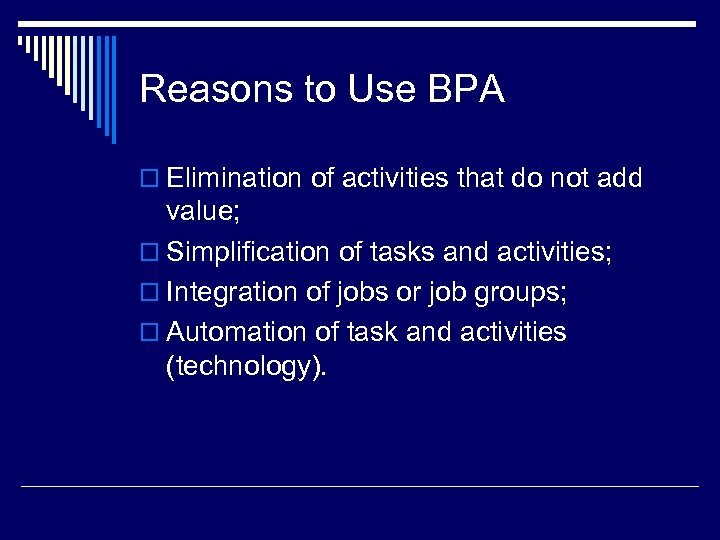 Reasons to Use BPA o Elimination of activities that do not add value; o Simplification of tasks and activities; o Integration of jobs or job groups; o Automation of task and activities (technology). 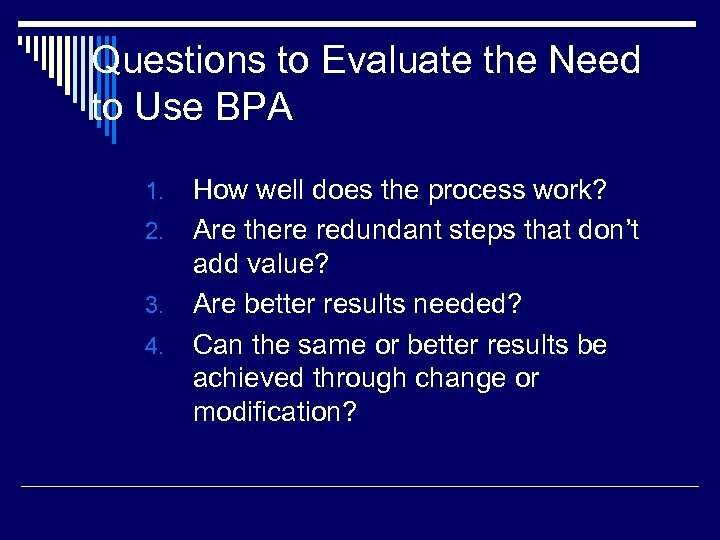 Questions to Evaluate the Need to Use BPA How well does the process work? 2. Are there redundant steps that don’t add value? 3. Are better results needed? 4. 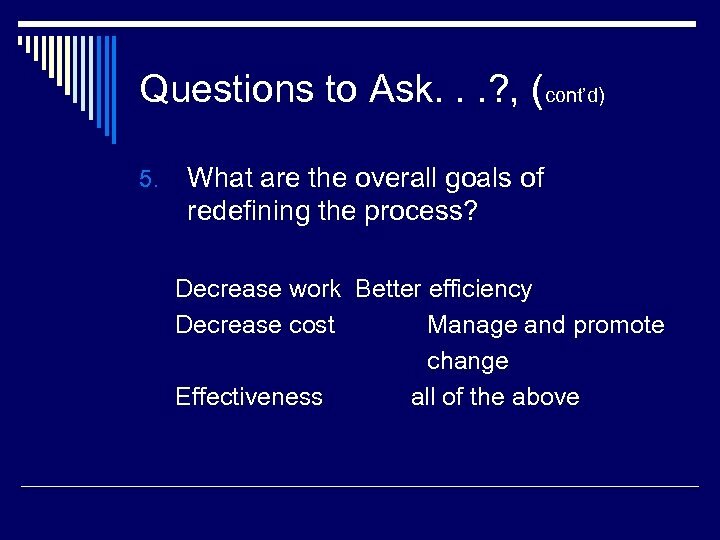 Can the same or better results be achieved through change or modification? 1. 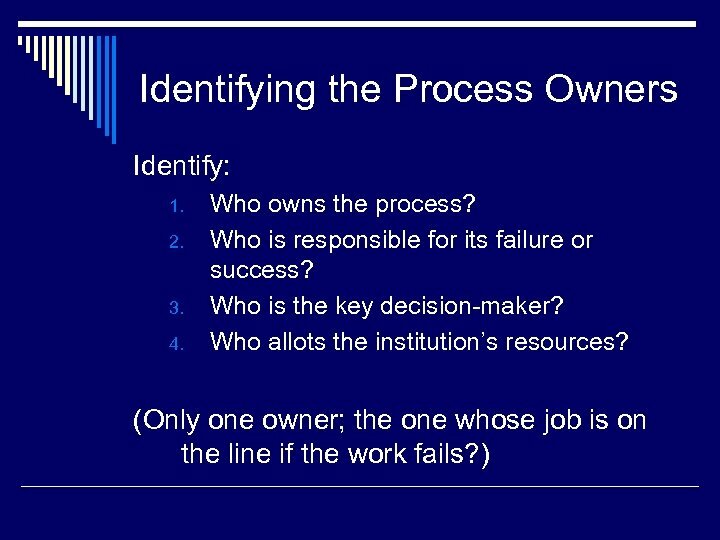 Naming the Process A process name identifies what the process does. (Verb + Noun) Stated as– “end-to-end” (end of one process to the end of another process). Recruit student aides to pay student aides. 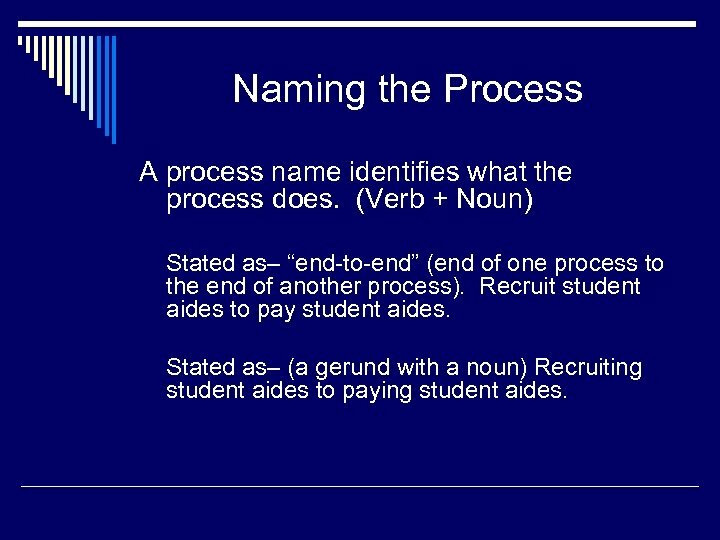 Stated as– (a gerund with a noun) Recruiting student aides to paying student aides. 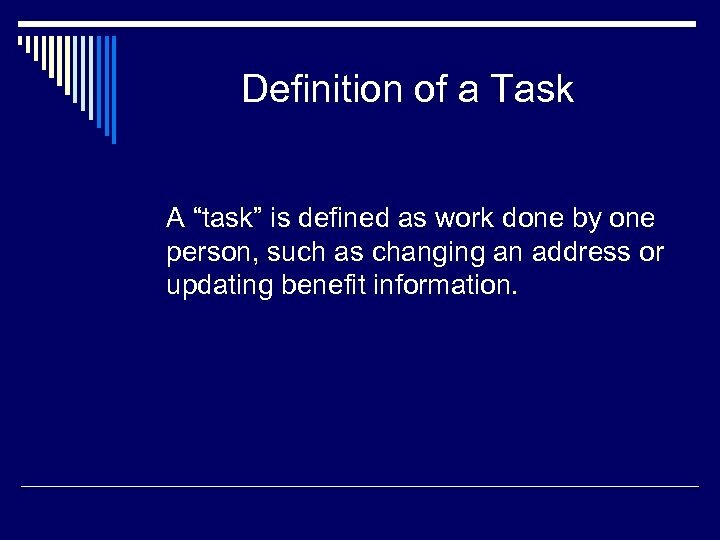 Definition of a Task A “task” is defined as work done by one person, such as changing an address or updating benefit information. 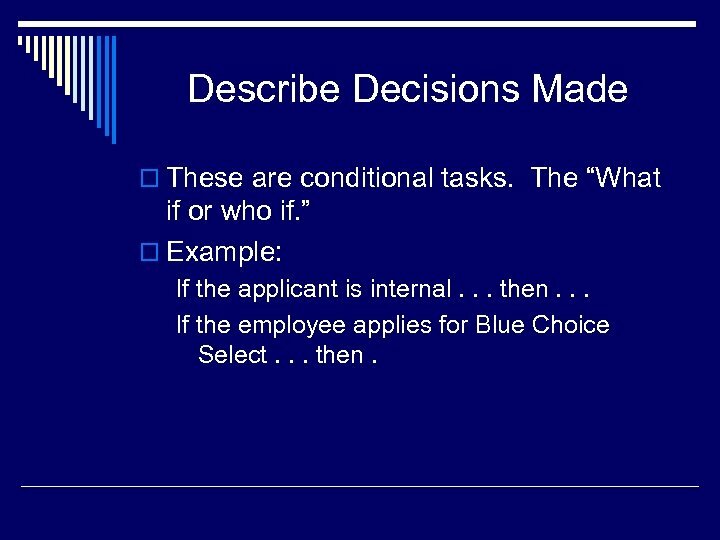 Describe Decisions Made o These are conditional tasks. The “What if or who if. 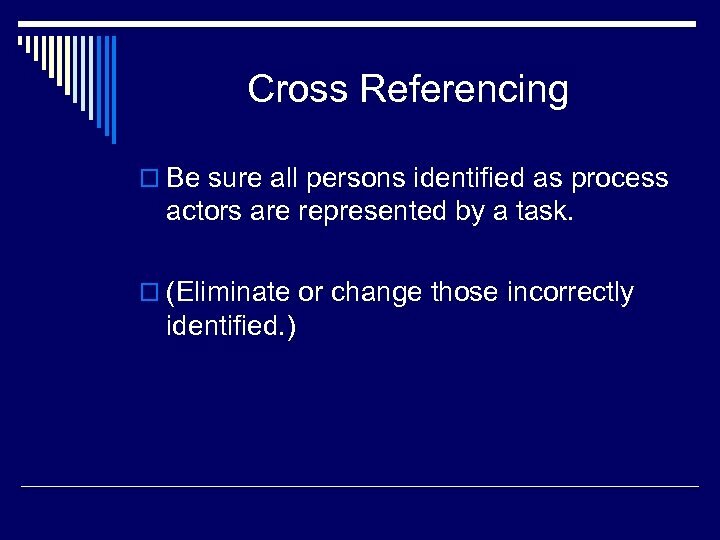 ” o Example: If the applicant is internal. . . then. . . If the employee applies for Blue Choice Select. . . then. 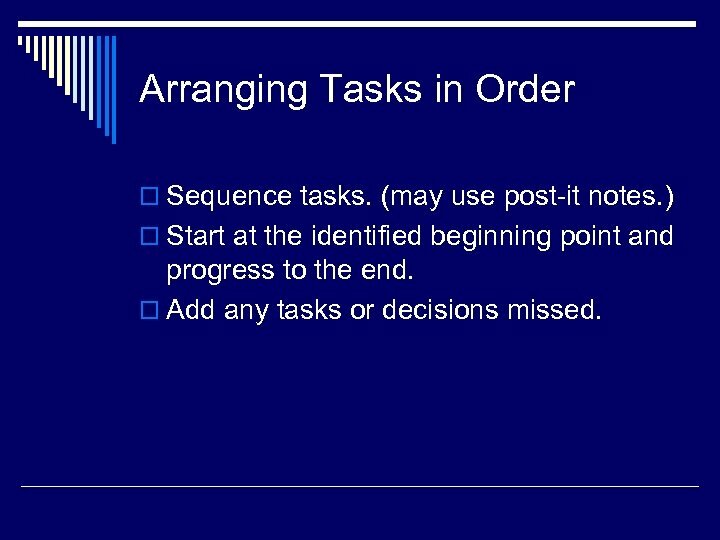 Arranging Tasks in Order o Sequence tasks. (may use post-it notes. ) 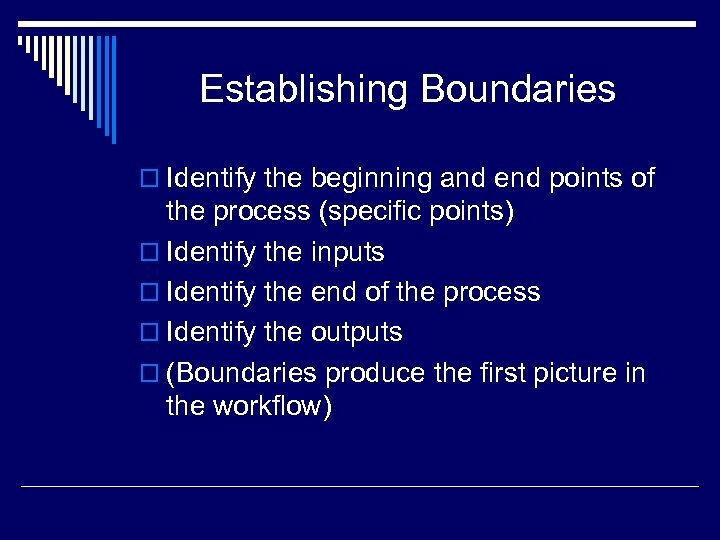 o Start at the identified beginning point and progress to the end. 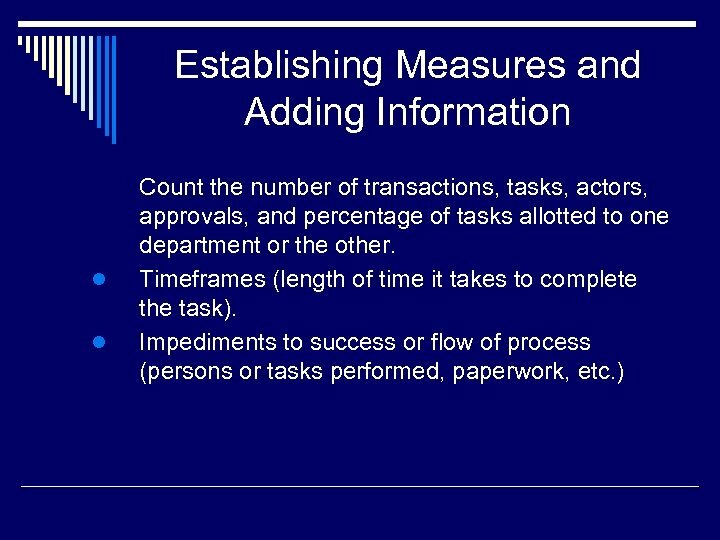 o Add any tasks or decisions missed. 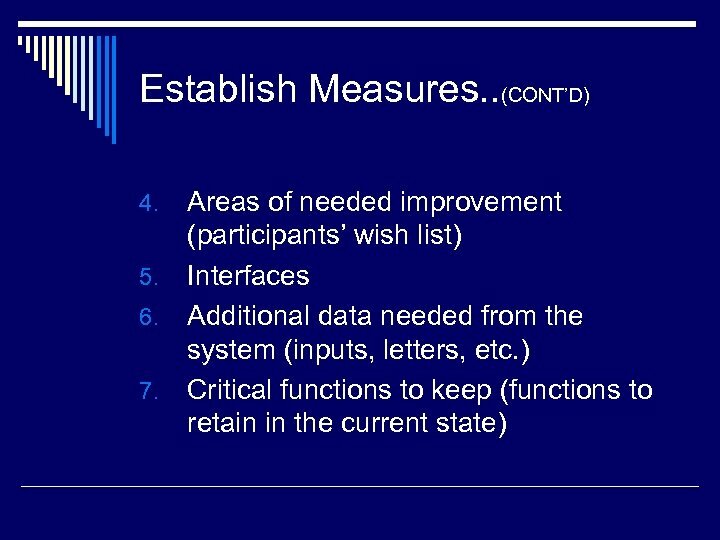 Establish Measures. . (CONT’D) Areas of needed improvement (participants’ wish list) 5. Interfaces 6. Additional data needed from the system (inputs, letters, etc. ) 7. 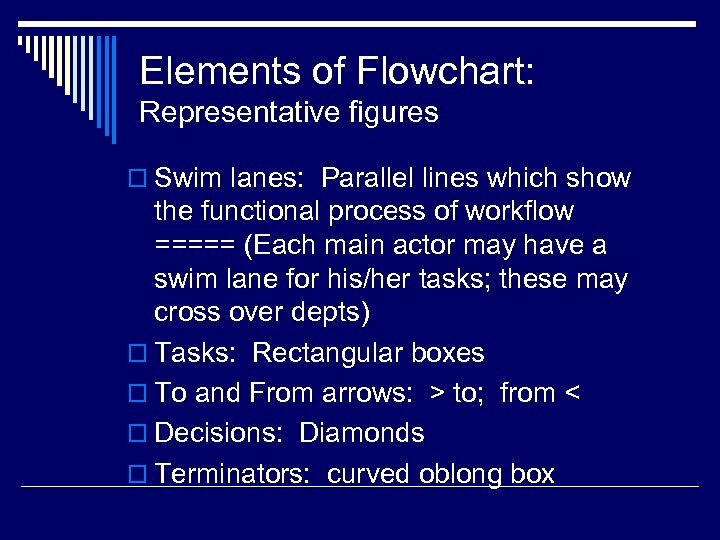 Critical functions to keep (functions to retain in the current state) 4. 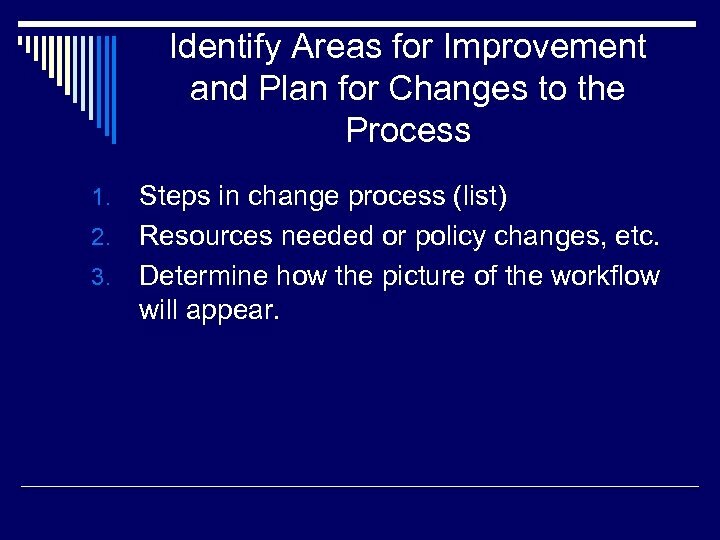 Identify Areas for Improvement and Plan for Changes to the Process Steps in change process (list) 2. Resources needed or policy changes, etc. 3. 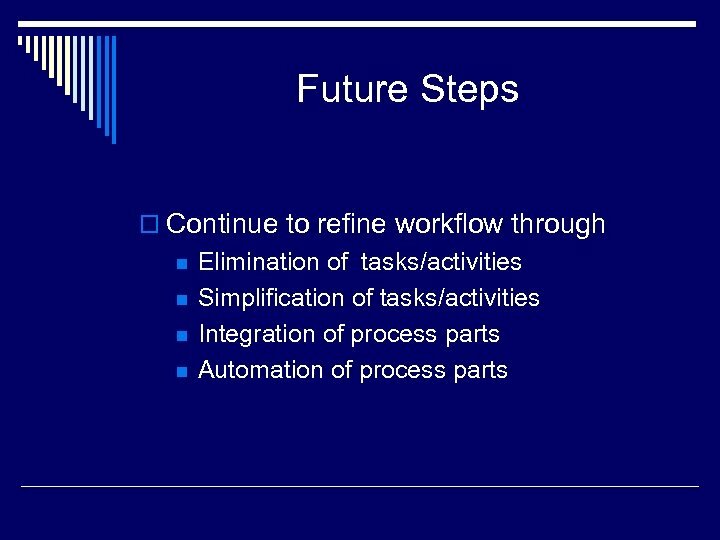 Determine how the picture of the workflow will appear. 1. Exercise o 1. Choose a partner in another dept. o 2. 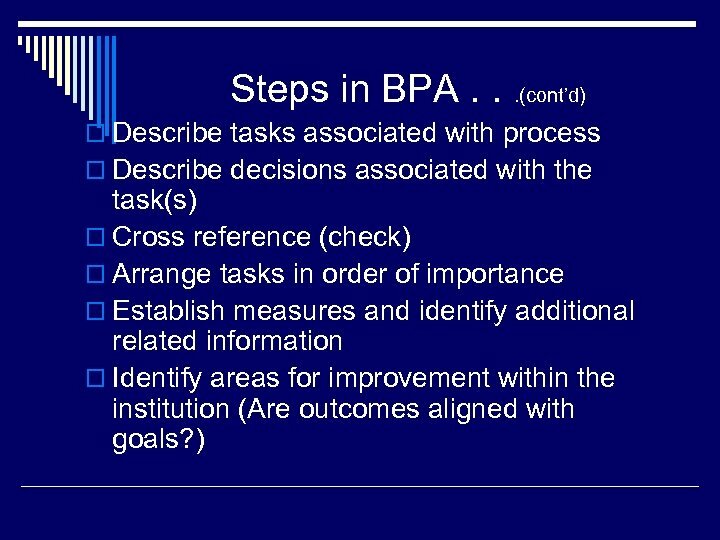 Identify a process (a limited one) you think would benefit by BPA? Write it down. (Do on your own) o 2. Flowchart the process beginning to end. 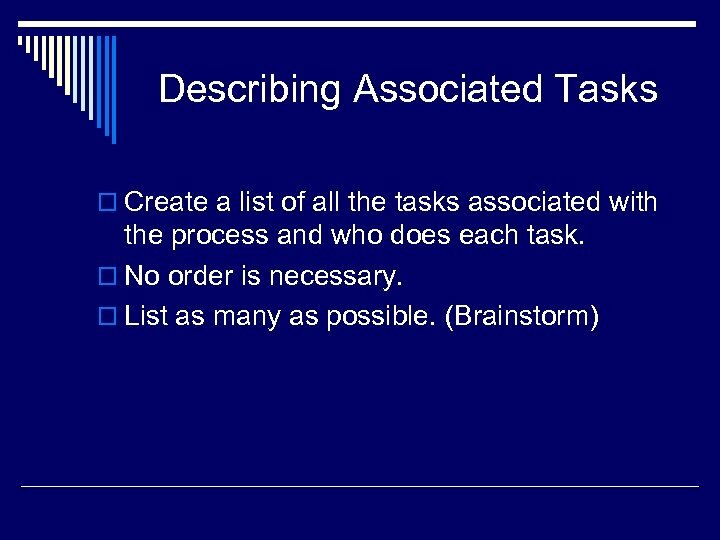 List the tasks and decisions. 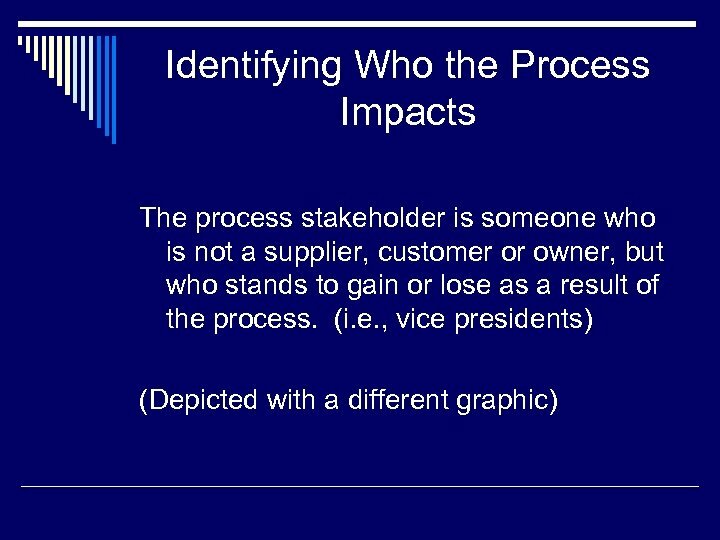 Include the stakeholders and owners. Identify steps which you would change o 3. Share with your partner. Exercise (cont’d) o 4. 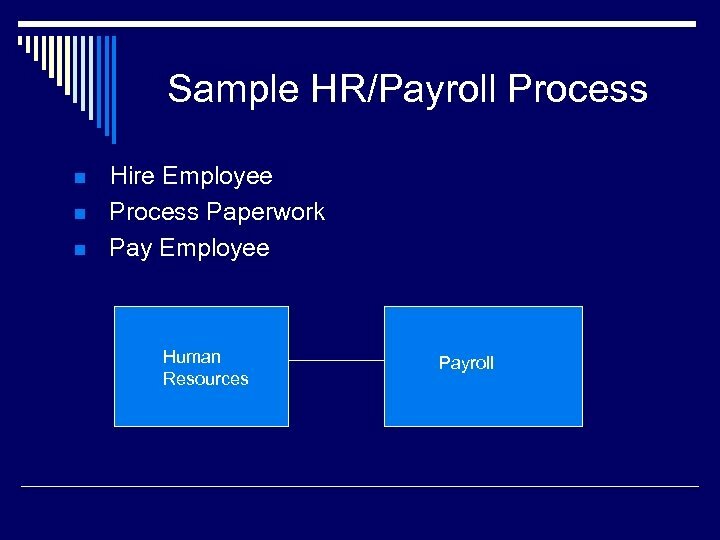 Determine if the process crosses departments? If it doesn’t, should it; if not who in your dept. 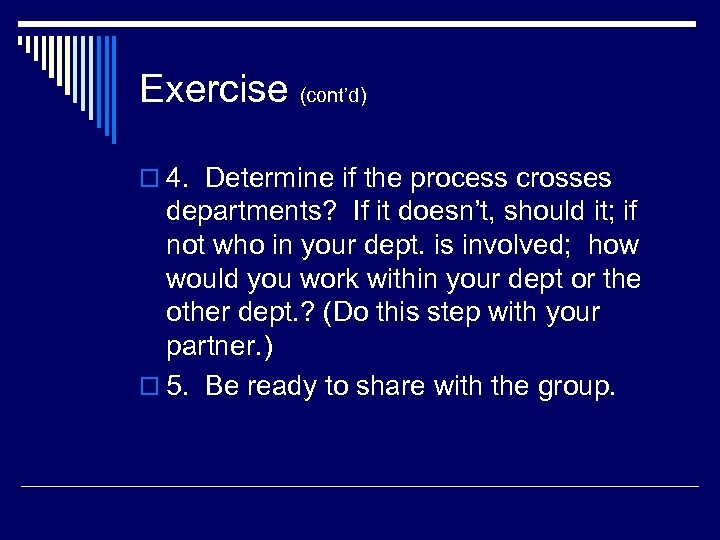 is involved; how would you work within your dept or the other dept. ? (Do this step with your partner. ) o 5. Be ready to share with the group.